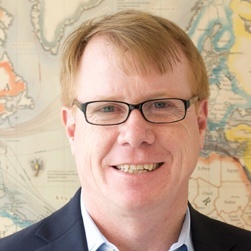 Robert Schult is a Research Director at TeleGeography and manages the company’s wholesale pricing and enterprise network research groups. His areas of expertise include telecom service pricing, corporate WAN technologies, and Cloud service integration. TeleGeography’s Pricing / Enterprise Team was set up in the Summer of 2001 by Rob Schult. At the time, the telecom industry was in the midst of liberalization and right before the dot-com and telecom industry bust. The team has since grown from 1 to 8 analysts, expanding its once singular focus on point-to-point, wholesale international private line price benchmarks to include wholesale IP transit and Enterprise WAN services.